In the professional arena, Carolyn Smallwood is an expert bobber and weaver. 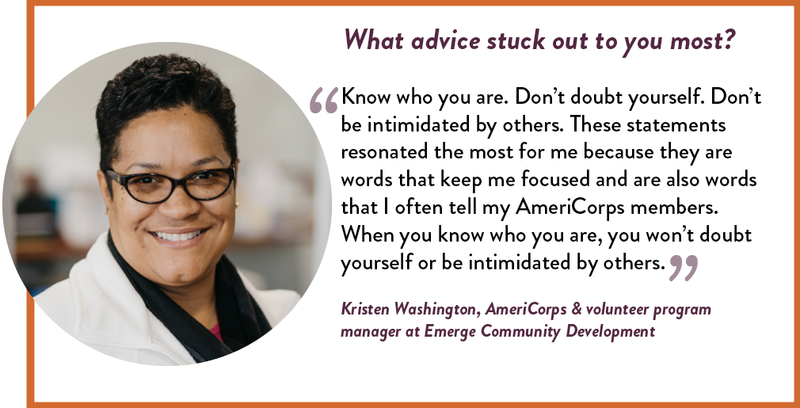 Throughout her career she moved seamlessly through the finance, business, and nonprofit worlds. Early in her career she worked as a flight attendant and a business banker. She even opened her own fitness boutique in Lakeville. Through it all, she has been tough. If corporate America were a boxing ring, Carolyn would likely hold a record for TKOs. Not when she had to drop out of college temporarily, not when she came up against a boss early in her career who refused to show her any respect, and not when she went back to school to get a degree in finance marketing shortly after having her first child. 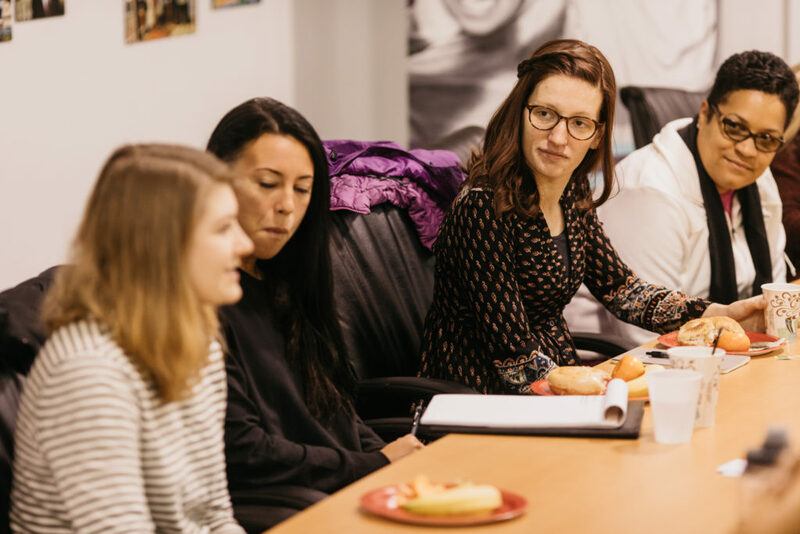 Carolyn recently sat down with a small group of young nonprofit professionals for YNPN Twin Cities‘ Leadership Breakfast series and shared what she’s learned about leadership over the course of her career. 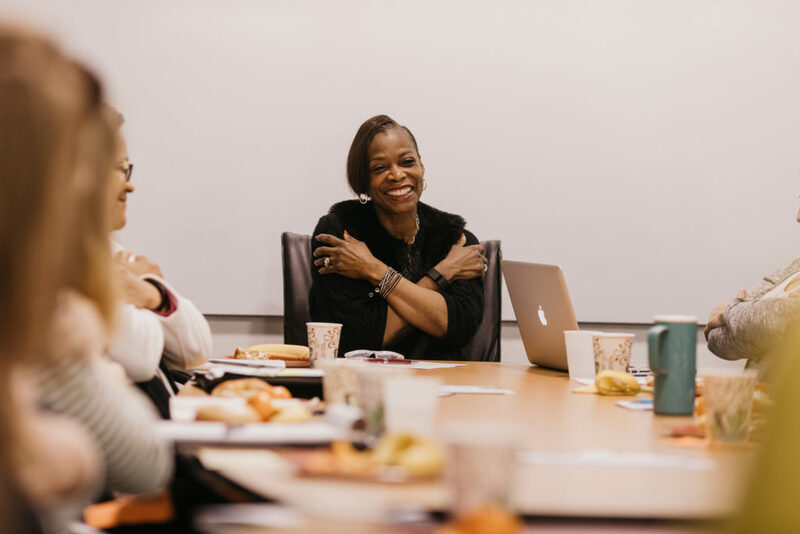 Along her professional journey she worked as a senior executive for ADC, The Broadband Company and served as the executive director of the Minnesota Minority Supplier Development Council. 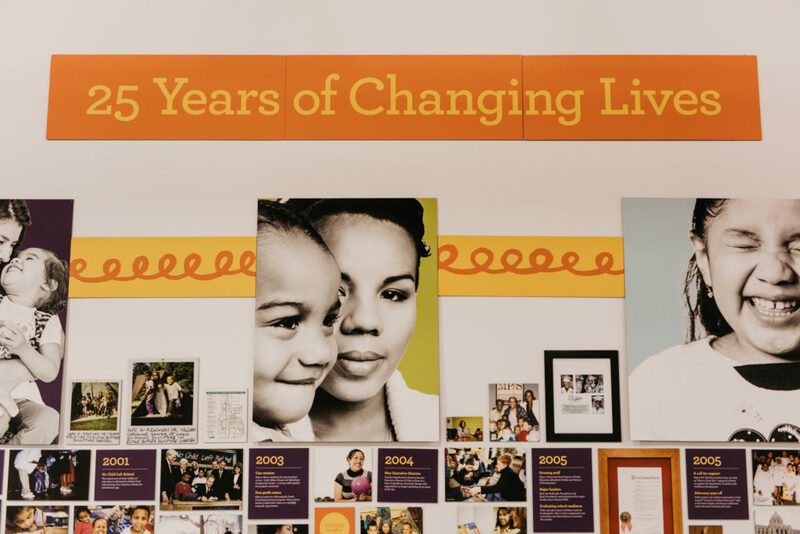 After that, she shifted into the nonprofit sector—first as the vice president for sales and marketing at Twin Cities Rise!, and most recently as the CEO of Way to Grow, where she has helped build up the organization’s early education programs for the past 13 years. 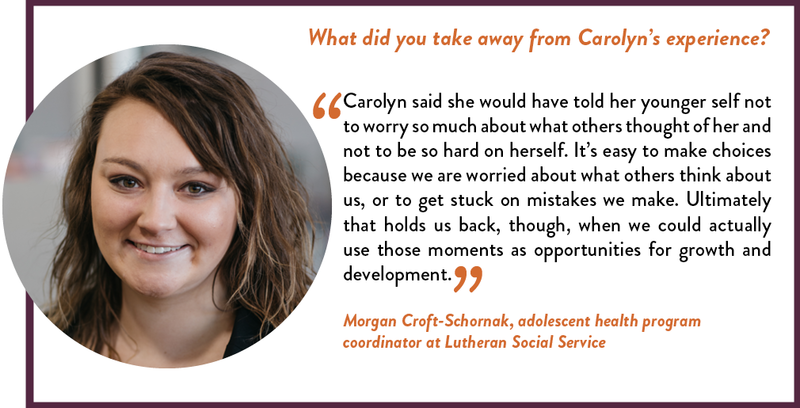 After graduating from high school, Carolyn packed her bags for Atlanta. Even though she grew up in a small town outside of Detroit, Carolyn returned to Georgia every summer to visit. So when it came time for college, Atlanta made sense. With ambitions to become a fashion designer, she started working toward a degree in fashion merchandising. But a couple of years into her plan, Carolyn’s life shifted unexpectedly. It began with a call from her mom. Carolyn’s dad was sick. With four brothers still at home, Carolyn’s mom needed help. Just before her 20th birthday, Carolyn dropped out of college, packed up her bags, and made the long trek back to Michigan. As soon as she moved back to town she found a job as a full-time clerk for the City of Detroit. She started making money while she helped out around the house. In the back of her mind, though, she kept thinking about her parents’ reminder to finish her education. The week after she landed her new job, she also applied to Wayne State University in Michigan. 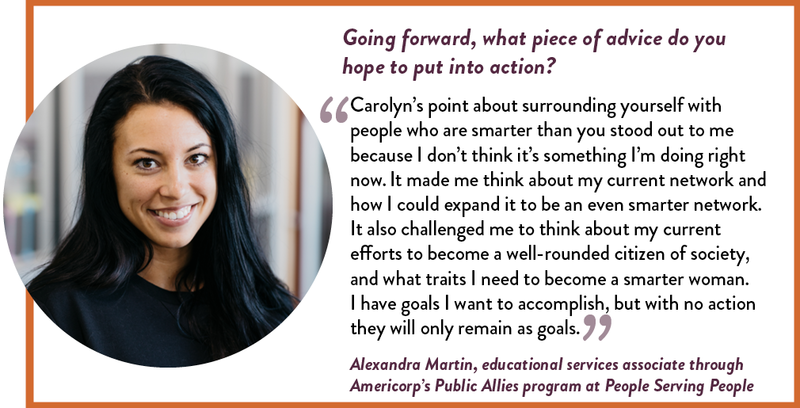 Within weeks, Carolyn enrolled in school and resumed college classes, even though it meant walking two miles to the bus stop every morning to make sure she made it to her lectures and job on time. For five years, Carolyn took to the skies as a flight attendant. That was back in the day when passengers could still smoke on planes and crews served real meals on actual china. Carolyn never showed up to work without a starched shirt and always dressed to the nines for her shifts. One day, Carolyn arrived for a morning flight. The captain walked in, his eyes obscured by sunglasses. She quickly realized he drank too much the night before and shouldn’t fly. But with 238 passengers on board and ready to take off, she was running out of options fast. She brought the pilot a cup of coffee and whispered two options into his ear: either she called another pilot to take his place, or the crew called a mechanical to give the pilot enough time to get in shape to fly. Sure, she felt scared, but she knew she had to do whatever she could to protect the passengers on her plane. That made it easier to stop worrying about what the pilot’s reaction might be and instead put one foot in front of the other to correct the problem. 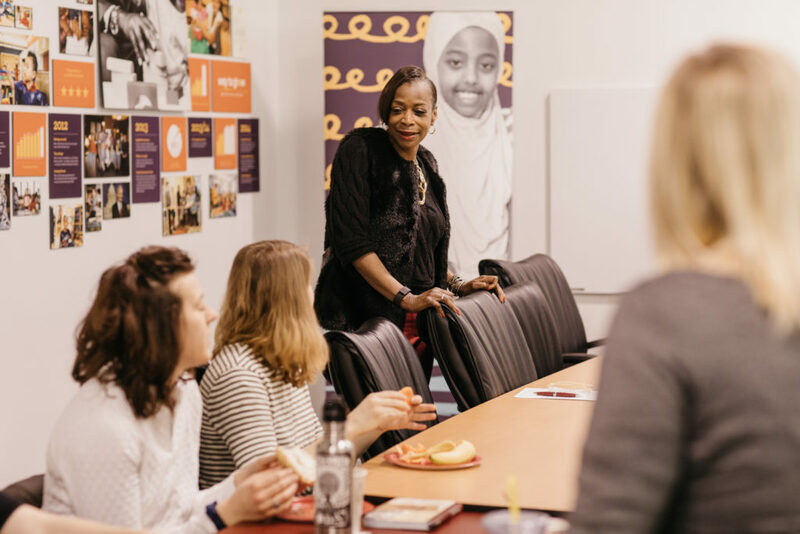 When Carolyn needed a meeting with the mayor of Minneapolis, she skipped the phone and went straight for her car. 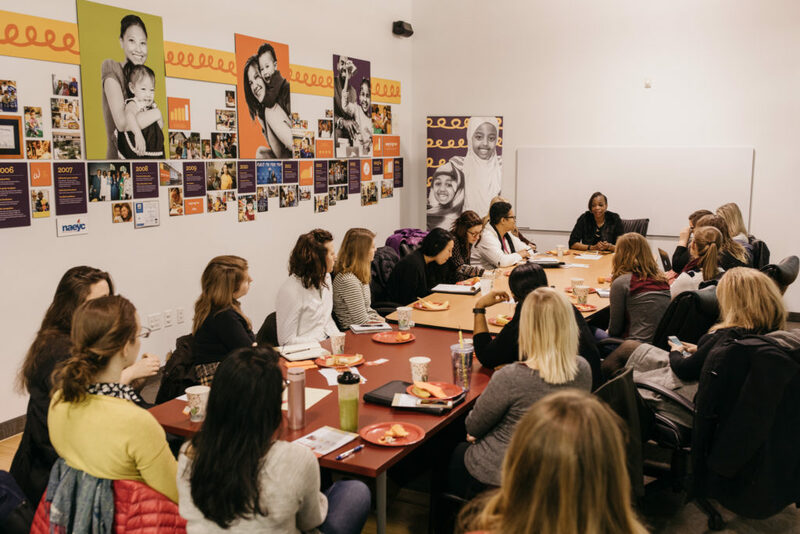 For her, networking is all about showing up at strategic places to connect with others. 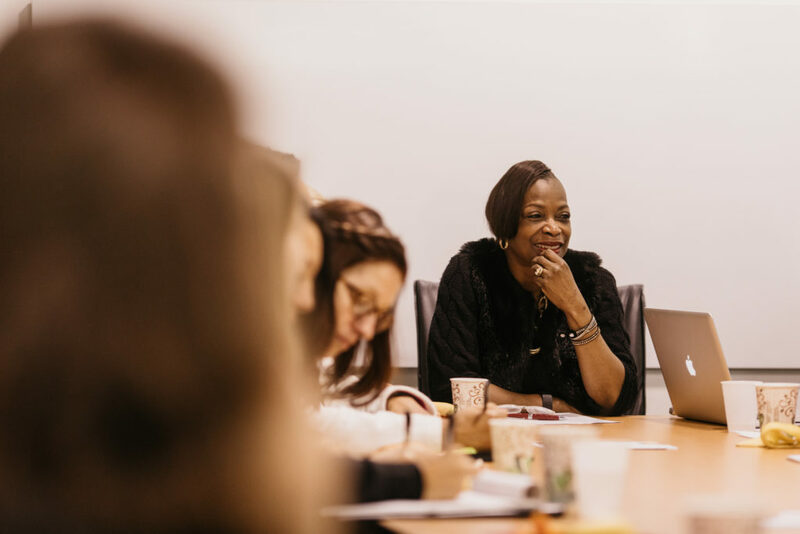 Early in her career she took that advice to the extreme, challenging herself to attend one evening business meeting or event each week for a year. 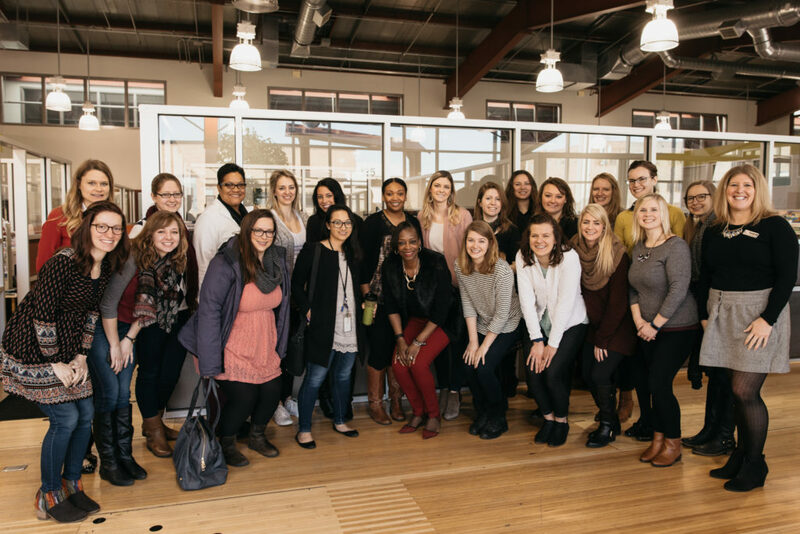 To do that, Carolyn defined her core values so she could show up authentically every day. For her that meant being kind, honest, and thoughtful; working hard and picking up new skills quickly; listening to others to lead a group better; and always taking the high road, even when others went low. Beyond that, she says you’ve got to figure out one last thing: your quirk. In other words, where do you come through in all of those values? Is it your hairstyle? A signature dish you cook? Or a family ring you’re never seen without? While other professionals may hold the same overarching values as you, it’s that personal style that sets you apart. Carolyn’s quirk might be her laugh or obsession with shoes, but likely it’s her pens. Her top desk drawer at work is filled with crazy writing utensils. Her current fixation is a red snakeskin pen that hasn’t left her hand for seven months. And don’t even think about accidentally walking away with one of her prized possessions, either. Do that, and this CEO is coming for you.